When you plan a school trip to the Los Angeles area, your student group should visit the T.C.L. Chinese Theater which was originally was known as Grauman’s Theater. They offer group tours as part of the experience. The students can also see a film at the IMAX and shop for gifts and souvenirs. 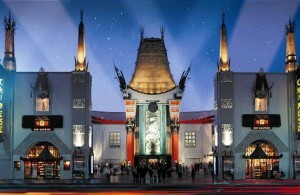 Grauman’s Chinese Theatre had its grand opening on May 18, 1927. This event was the most spectacular theater opening in motion picture history. It was opened to the public the next day. The students can take a tour of the theater that is both entertaining and educational. During the experience, the student group will learn about the history of the T.C.L. 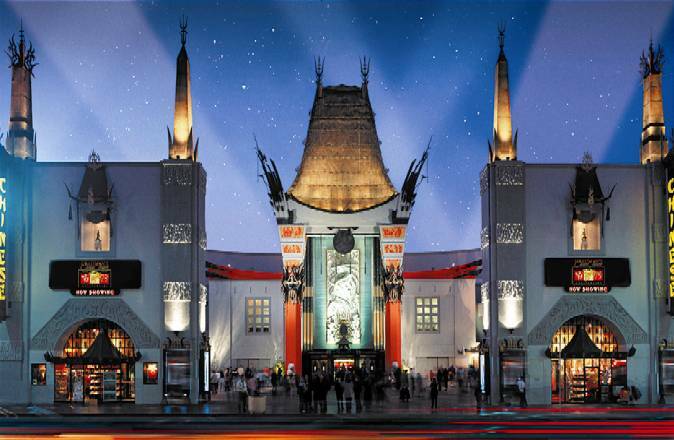 Chinese Theatre from its early days to the present. Students will also have the opportunity to listen to stories and learn fun facts pertaining to the theatre’s Hollywood premieres and it’s Forecourt of the stars. The tour is 20 minutes in length. While your group is visiting the theatre, the students can purchase a variety of souvenirs. You will find merchandise such as Mugs, Plates, statuettes, Key Chains, Magnets, Frames, and Tiles/Coasters. The students can also make their own cement prints as well. There are four different mugs available to purchase such as the Nighttime Chinese Theatre Mug, the Daytime Chinese Theatre Mug, the Walk of Fame Mug, and the Los Angeles White Mug. There are seven key chains for students to buy. You will find the Hollywood Tile Key Chain, the Oscar Key Chain, the Yellow Prints Key Chain, the Yellow Chinese Theatre Key Chain and the Gold Chinese Theatre Key Chain.